Fabulous 4/2.5/2 Home in Bear Creek Village, with BIG Square Footage! Must SEE!!! TONS of Upgrades, Granite Counter Tops, Custom Tile Flooring, Beautiful Wood Cabinetry, Crown Molding in Bedrooms & Game Room, Built Ins In Many Rooms, Dramatic 2 Story Curved Brick Fireplace & soaring ceilings. The Den has lots of natural light from large picture windows, with the view of the tranquil back yard. Formal Dining, Oversized Galley Kitchen & Breakfast Area w/ Vaulted Ceiling and Open to the Den. 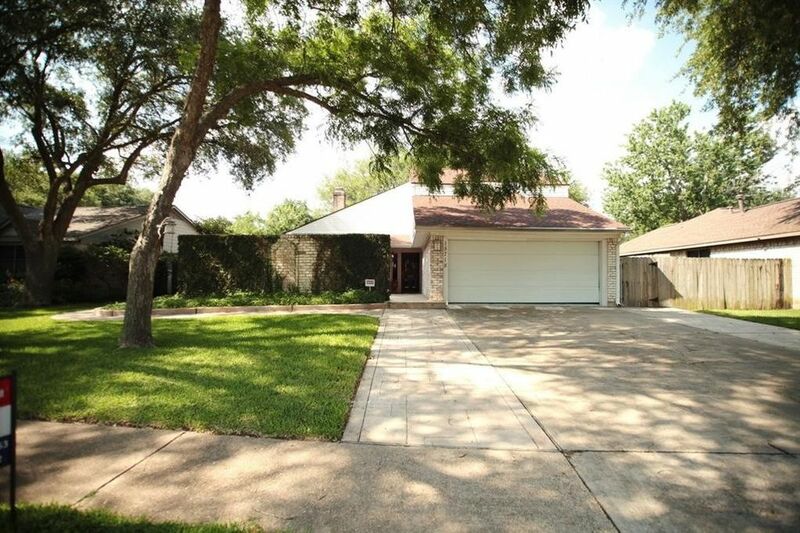 HUGE Hidden Walk-In 10x8 Pantry/Utility Room, Huge Game Room Up Large enough for a Pool Table & More!, BIG Bedrooms, Koi or Lilly Pond & Stone Patio area in Front, Park-like Backyard, Covered Patio with Ceiling Fan. Come visit & try to find the hidden rooms and Spaces! This Home was High & Dry during Harvey! It Did NOT Flood ever!